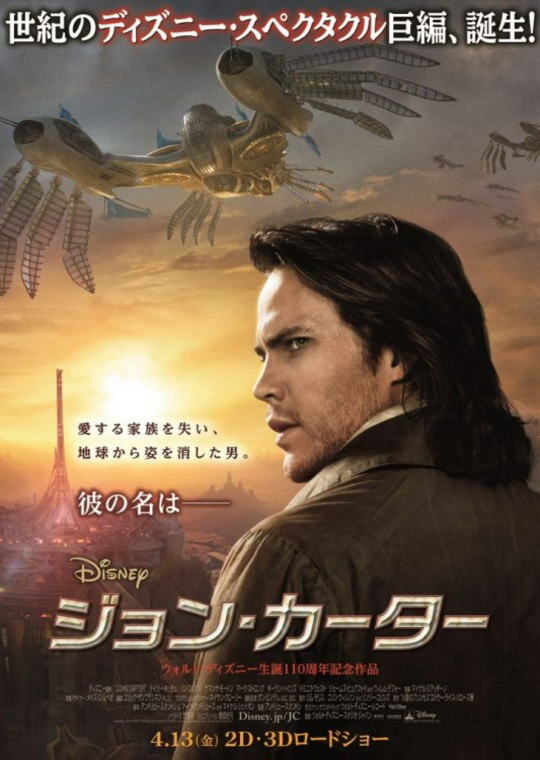 An Earthman from Virginia with a mysterious background, Captain John Carter (Taylor Kitsch) fought in the American Civil War on the Confederate side. At the war's end he goes prospecting for gold in Arizona. He is adept at strategy, horsemanship, and all weapons, including firearms and swords. He is 6'2" tall, clean-shaven, with close-cropped black hair and steel gray eyes. He is honorable, courageous, and eternally optimistic, even in the face of certain death. Having struck a rich vein of gold, he runs afoul of the Apaches (Akima, Joseph Billingiere, Aldred Montoya). While attempting to evade pursuit by hiding in a sacred cave, he is mysteriously transported to Mars, called "Barsoom" by its inhabitants. Carter finds that he has great strength and superhuman agility in this new environment as a result of its lesser gravity. He soon falls in with the Tharks (David Schwimmer), a nomadic tribe of Green Martians, as the planet's warlike, six-limbed, green-skinned inhabitants are known. Kantos Kan (James Purefoy) is a warrior of Helium who escapes a Green Martian prison with John Carter. By the beginning of the second book, Kantos Kan is the chief commander of Helium's navy. Thanks to his strength and combat abilities, Carter rises to a high position in the tribe and earns the respect and eventually the friendship of Tars Tarkas (Willem Dafoe), one of the Thark chiefs. Tars Tarkas is a fierce Green Martian warrior from the tribe of Thark, he is unusual among his race for his ability to experience tender emotions such as friendship and love. His emotional development stems from a forbidden love affair in his youth, when he secretly began a partnership with a Green Martian woman named Gozava. Carter comes to respect Tars Tarkas for his abilities as a warrior and statesman. Carter also discovers that Tars Tarkas has a secret: long ago he fell in love and had a child (egg) with his lover, Gozava, two actions punishable by death in the Tharks' culture. She was tortured and killed by the Tharkian chieftain Tal Hajus (Thomas Haden Church) for the crime of childbearing. However, even under torture she refused to reveal the name of the child's father. Sarkoja (Polly Walker) is a Green Martian woman whose intrigues resulted in the death of Gozava and who schemes against John Carter. After Carter tells Tars Tarkas about her role in Gozava's death, she is frightened into a self-imposed exile and never heard from again. Tars Tarkas befriends John Carter and later fights at his side. Carter helps him become Jeddak of Thark and negotiates an alliance between the Green Martians and the city-state of Helium, which results in the destruction of Helium's enemy, Zodanga (Sab Than, Prince of Zodanga: Dominic West). Tars Tarkas more than once displays an ironic sense of humor; he mocks John Carter's perception of himself as "a cruel green warrior" while fighting beside him, and in The Gods of Mars he comments on the disappointment of Barsoomian hopes for the afterlife. Sola (Samantha Morton) is a daughter of Tars Tarkas and a friend of John Carter, she teaches him the Barsoomian language and the history of her race, as well as the secret of her own parentage. The Tharks subsequently capture Dejah Thoris (Lynn Collins), Princess of Helium, a member of the humanoid red Martian race. Dejah Thoris is courageous, resolute, and frequently in mortal danger or under threat of dishonor by the lustful designs of a succession of villains. She is the daughter of Mors Kajak, Jed (chieftain) of Lesser Helium, and the granddaughter of Tardos Mors (Ciaran Hinds), Jeddak (overlord or high king) of Helium. As such she is highly aristocratic and fiercely proud of her heritage. Introduced early in the novel, she immediately becomes the love interest of John Carter. As a central character in the first three Barsoom novels, her frequent capture by various enemies, and subsequent pursuit by John Carter, is a constant motivating element in their plots. The red Martians inhabit a loose network of city-states and control the desert planet's canals, along which its agriculture is concentrated. Carter rescues Dejah Thoris from the green men in a bid to return her to her people. Subsequently Carter becomes embroiled in the political affairs of both the red and green Martians in his efforts to safeguard Dejah Thoris, eventually leading a horde of Tharks against the city-state of Zodanga, the historic enemy of Helium. Winning Dejah Thoris' hand, he becomes Prince of Helium, and the two live happily together for nine years. However, the sudden breakdown of the Atmosphere Plant that sustains the planet's waning air supply endangers all life on Barsoom. In a desperate attempt to save the planet's inhabitants, Carter uses a secret telepathic code to enter the factory, bringing an engineer along who can restore its functionality. Carter then succumbs to asphyxiation, only to awaken back on Earth, left to wonder what has become of Barsoom and his beloved. During his nine years on that planet he effectively disappears from Earth and is believed dead, but he re-emerges in New York (Emily Tierney) in 1876, settling in a house overlooking the Hudson River. He apparently dies again in 1886, leaving instructions for a fictionalized Burroughs (Edgar Rice Burroughs: Daryl Sabara), who refers to Carter as his Uncle Jack, to entomb him in a crypt. He also leaves Burroughs with the manuscript of A Princess of Mars, with instructions not to publish it for another 21 years. John Carter states that he has no memory before the age of 30 and has always appeared the same, without aging. From the Green Martians he received the name "Dotar Sojat," after the first two green warriors whom he slew after his advent on Barsoom. He sometimes uses this name as an alias in later books of the Martian series.